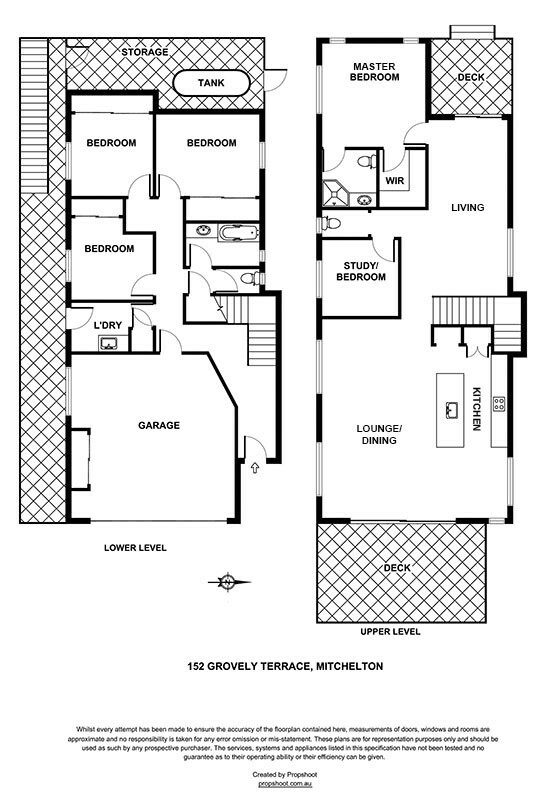 Presenting 152 Grovely Terrace, Mitchelton. Situated on the high side of Grovely Terrace - arguably one of Mitchelton's premier tree-lined streets - this stylish contemporary home is waiting for new owners to call home. Designed with the Queensland lifestyle in mind, the home offers fantastic indoor/outdoor living and takes great advantage of the elevation and views. Upstairs offers a generous open plan lounge, dining and kitchen area. High ceilings, polished floors and clever use of windows provide for a great sense of space full of natural light. The open plan feel continues through the large stacker door out to the brilliant front deck - the perfect area for year-round entertaining, summer dining or just relaxing whilst taking in the elevated district views. At the rear of the upper level is a generous living room and covered deck which gently leads out to the landscaped rear yard. The master bedroom and second bedroom, or the perfect study or kids retreat, also feature on this level. Inside and venture down the polished timber stairs to the ground floor and you will find a further three bedrooms, all with built-ins. With a full bathroom, the ground floor is well suited for guests or for households wanting separation of living with privacy. Living here will have you positioned perfectly in the thriving suburb of Mitchelton, walking distance to Blackwood Street (home to restaurants, cafes, bakeries and the monthly Sunday Farmers' Markets), train stations, parks and schools.